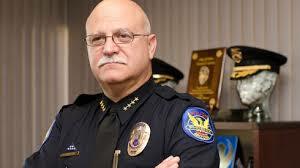 In a previous web post from two days ago Chief Garcia Violates the Rules PLEA explained the unfair treatment received by officer David Hough with regard to discipline tied to a misconduct investigation. Officer Hough had admitted from the beginning that mistakes were made on his part and that he was willing to take responsibility and accept the requisite discipline for any policy violations which, according to PSB, was a Class II violation mandating a 24-40 hour suspension. Officer Hough continued to work the street for approximately the next seven months. Chief Garcia then reviewed the investigation and then determined that a Loudermill (termination) hearing was in order. A few days later, Chief Garcia called Officer Hough and issued a whopping 120 hour suspension (at least 3 times the amount mandated by policy). Officer Hough was waiting on his discipline notice to file his appeal to the Civil Service Board when he received a phone call from Assistant Chief Markley to report to Headquarters to sign paperwork for a 120 hour suspension with a last chance agreement attached. Officer Hough refused, as he intended to appeal Chief Garcia’s arbitrary discipline decision. Officer Hough was told that if he did not sign the last chance agreement, he would be terminated. CLICK HERE to read letter from officer Hough’s attorney. PLEA contacted City Manager Ed Zuercher who ordered the Director of Human Resources review the documents related to Officer Hough. CLICK HERE to view related e-mail. PLEA and Officer Hough were assured that the Director of Human Resources would review the process behind Officer Hough’s discipline. Then Officer Hough waited. For weeks. But the morning after our initial web post on this issue (Dec 1, 2014), Officer Hough was contacted the very next day by the Chief’s office and told that he was to report to Assistant Chief Markley’s office the following day, Wed Dec 3, at 10 a.m. where he would be presented with two options – either sign a last chance agreement (waiving his rights to appeal) along with a 120 hour suspension or, sign his dismissal papers. The attempted application of the last chance agreement in this instance, is an abuse of the process, and is the the moral equivalent of holding a gun to someones head to make them sign documents under duress. PLEA, (CLICK HERE to view e-mail) and Officer Hough’s attorney (CLICK HERE to view e-mail) immediately contacted the City Manager and the Human Resources Director, and learned that, even though the Director of Human Resource’s review was incomplete, Chief Garcia ordered that Officer Hough either waive his rights to appeal, or be terminated. Fortunately, cooler heads prevailed. The City Manager and/or the Director of Human Resources intervened, and the last chance agreement was removed (CLICK HERE to read e-mail from Asst. Chief Markley). Today, Officer Hough was served with his discipline notice, and immediately filed his appeal with the Civil Service Board. PLEA would like to thank the City Manager and the Director of Human Resources for their intervention, and for preventing the unjust termination of an officer right before Christmas. We would also like to thank Assistant Chief Markley for how he handled this situation, as he took the time to meet with Officer Hough and his PLEA rep to apologize for how the Department handled this situation, and to explain that he was simply following directions.